As of 2016 Action Packed Paintball will no longer have Paintball Memberships available. 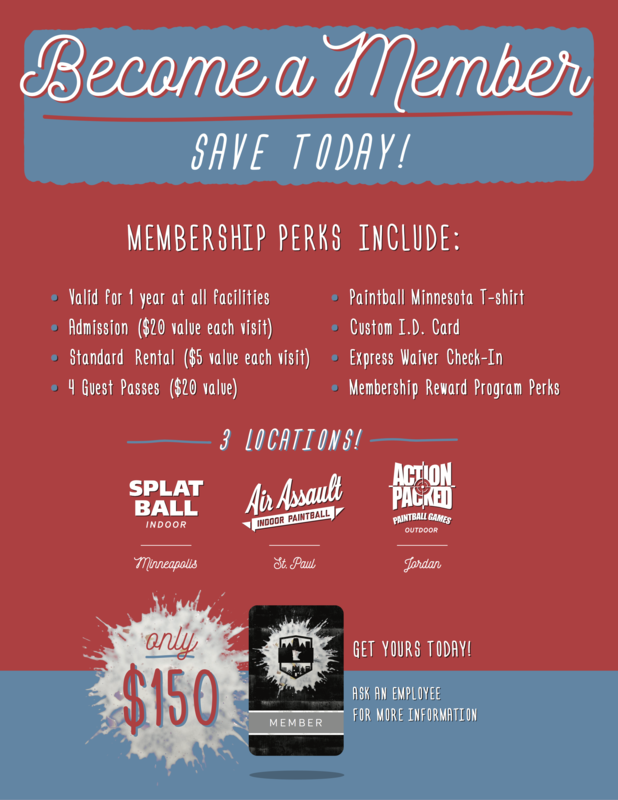 Looking for the best Paintball Membership in Minnesota? You found it! 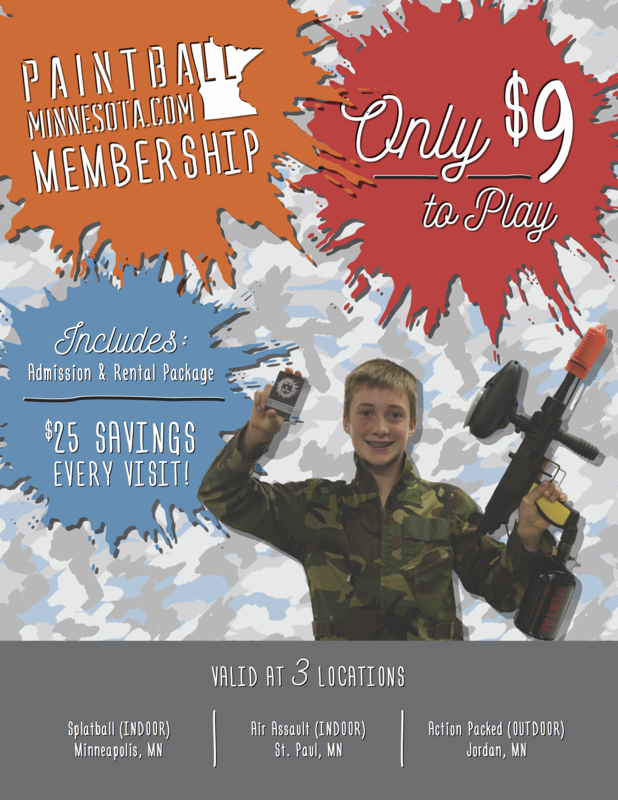 Action Packed Paintball Games is a proud host for Paintball Minnesota Passes! We offer the only pass in the Minnesota area that can be used at more than one location! If you have any questions about the details of our personal pass give us a call us today at 952-492-6776. 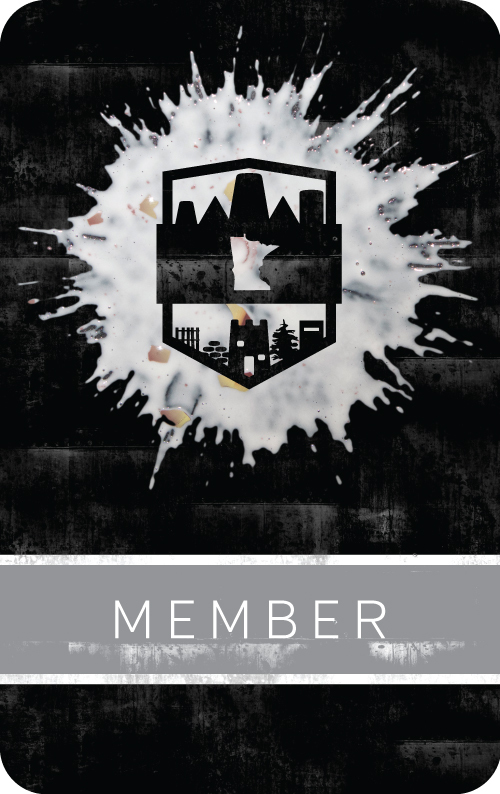 Start playing and start saving today with your paintball membership! * All players are required to use Action Packed Paintball Games paintballs.